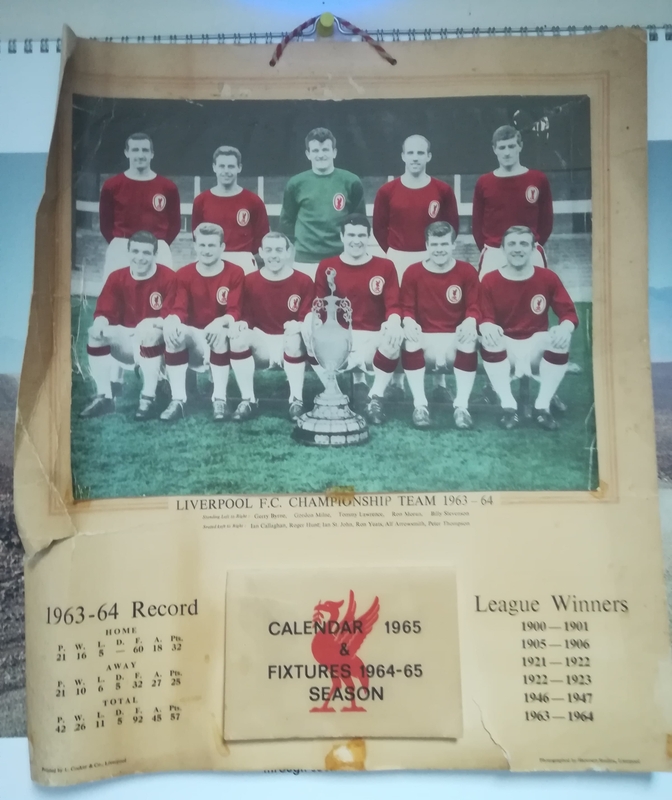 Here we have a Liverpool FC calendar for the year 1965, including a fixture list for the 1964/65 season. The previous season, Liverpool secured their 6th league title, finish ahead of local rivals Manchester United and Everton by four and five points respectively. Despite only finishing 7th in the league, the Anfield side did go on to beat Leeds in extra time at Wembley to secure their first FA Cup final victory. Gerry Byrne set up Liverpool’s opener in the 93rd minute, finding top scorer Roger Hunt despite suffering from a broken collar bone. Liverpool would win their 7th league title the following season.